DNT Perforated Metal Sheet Factory can provide exact sheet sizes and exact side margins with rapid delivery. Whether the order is big or small, we will work with our customers to ensure low-cost and high-satisfaction. To cater variegated demands of our esteemed clients, we are highly engrossed in manufacturing a wide range of Perforated Metal Slot Hole. Price: Varies as per the Quality and Size. Komal Corporation weldmesh offer a wide range of perforated metal sheets either punched or plasma profile cut, in mild steel, galvanized, aluminium, stainless steel and special alloys. Standard specifications can be supplied from stock and despatch can be effected within 2-3 days. Our organization is engaged in manufacturing and supplying an exclusive range of Perforated Metals, which is uniquely designed and fabricated in accordance to various demands of our clients. These are available at market leading prices. Tiger Wire Mesh Manufacturing Co.
We are engaged in manufacturing an elite range of Perforated Metals. This perforated metal is obtainable in different customized designing options so as to fulfill the need of patrons. 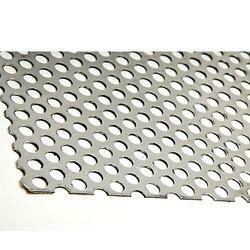 Moreover, this perforated metal is well design by cutting edge tools as per the latest trends in the market. 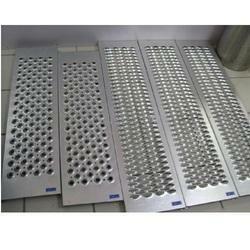 We are giving this perforated metal to customers in a given time frame at nominal rates. - Name: perforated screen or perforated metal screen. - Material: stainless steel, pre-galvanized steel, copper, brass, aluminum. - Hole Pattern: round, square, rectangular, slotted, decorative. - Screen Shape: in roll or in plate.